As the hype has continued to build for the new Smashing Pumpkins tour, which sees guitarist James Iha reuniting with the group, bandleader Billy Corgan has made it abundantly clear that original bassist D’Arcy Wretzky will have no part in the tour, and he means it. During the tour’s kick off show in Glendale, Arizona, both Wretzky and her replacement, Melissa Auf der Maur, were both cut out of the band’s music video montages that were shown during the performance of the song “Rhinoceros,” as reported by Alternative Nation. The music video montage covered everything from the band’s beginning in the early ’90s until the first dissolution of the group in 2001. However, many of the shots were edited in a way that did not show Wretzky or Auf der Maur, something that was clearly intentional and meant to send a message. 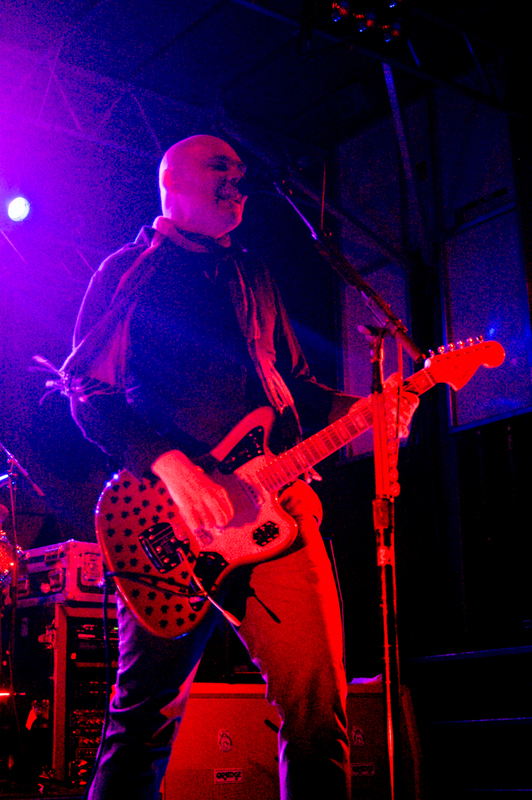 While the reunion tour has been surrounded by controversy ever since its announcement, with many dates selling poorly, that has not stopped Corgan and the band from pulling out all the stops on the live stage. The band played some killer covers of classic David Bowie and Led Zeppelin songs at the first show of the tour, and they even played a special backyard show in Los Angeles a few weeks ago. Additionally, the Smashing Pumpkins have released a new single and a new music video for the song “Solara,” the first recording to feature Corgan and Iha together since 2000’s Machina II. You can watch footage of the Smashing Pumpkins performing “Rhinoceros” in the player below.